Deserts are a few of the most intense environments our blue world offers. While they may bring to mind intense isolation, a blatant lack of hospitality and boredom, we should reconsider our place and see, at least in photos, a few dry and remote locales to steal cues for our gardens. The results may be spectacular. The Antarctic and the Arctic are regarded as the largest deserts on the planet. With hardly any precipitation, these cold deserts, mostly covered in snow, provide few plants of backyard interest, so let us overlook them. In the hot and temperate deserts we locate plants which manage to accomplish feats with just a few sparse drops of water. To do so, they’ve developed various innovative mechanisms which are quite often particularly pleasing to the eye. In this case, much in the desert of southwest Bolivia, this lettuce comparative termed yareta (Azorella compacta) grows gradually into a thick, mossy mound, restricting evapotranspiration. A little further away, on an isolated island of rocks and poking from an immense salt level, this candelabra-type cactus provides a conspicuous life shape to an otherwise barren landscape. Can you imagine the spectacle when these all bloom concurrently? Cacti have varied shapes; this gold barrel cactus (Echinocactus grusonii) is a good example of an architecturally interesting option. Growing one of it is a sky-blue senecio (Senecio serpens). Both are frost sensitive. One of the most preferred of garden cacti is that the paddle cactus (Opuntia sp). Some species are native to the Canadian prairies, making them hardy to zones 3 or 4 — hardy, possibly, but drenching sun and super well-drained soil are still compulsory. Here, we have a charming duo of Opuntia x ellisiana and Yucca glauca. All but one species of cacti are located in North America. In Africa, the cactus-looking native plants are, strangely enough, often members of the Euphorbia family. Both families and their horticultural selections offer endless possibilities for gardeners blessed with a warm, humid climate. These crops may be utilised in innumerable ways: Some gardeners pack them tightly, like they’d annuals; others show more restraint, like in this section of the Berkeley Botanical Garden in California, leaving a sand and rock exposed. The agave is just another desert favorite. Beyond its role in tequila making, agaves are exceptional for their dramatic rosettes of fleshy, often gorgeously colored leaves. Incapable of carrying on through most real sleeplessness nights, agaves are happier in California and the southern United States. For those in colder climates, agaves create fantastic and easily cared-for potted plants. In the same vein but considerably hardier (zone 4 and up) are yuccas (Yucca flaccida ‘Golden Sword’ is shown here). Their rosettes of spiky foliage play a significant part in virtually any desert garden layout; being so perceptible, they are the anchor around which other crops evolve. A creeping verbena fires off this combination. Wisely combined, these dryland crops are perfect for stark, modern plantings. Drylands have, by definition, too little water to sustain verdant growth. The outcome is often an environment sparsely populated with crops and plants, during the driest season, somewhat darkened. Though some think this boring, others believe it minimalist on a budget. Here we’ve got a forest of quiver trees (Aloe dichotoma) in South Africa. However when rain finally arrives, this gloomy territory often bursts to a short-lived riot of colors. Bulbs and annuals, like these Cape daisies (Ursinia sp), cover the ground long enough to finish their cycle from bloom to seed. A similar phenomenon takes place in the dry hinterland of Oregon, with this spidery cleome. It’s simple to imitate this in backyard settings by sprinkling seeds of annuals (California poppy is a fantastic choice) between the existing permanent plants. When the weather turns overly cold or moist for proper desert crops, substitutions are key — look for better-adapted plants with similar appearances. For example, that knawel (Scleranthus biflorus) may change the yareta we found earlier on. Thus stonecrop, like this ‘Matrona’ sedum (Sedum ‘Matrona’), is invited to the coldest dry gardens. 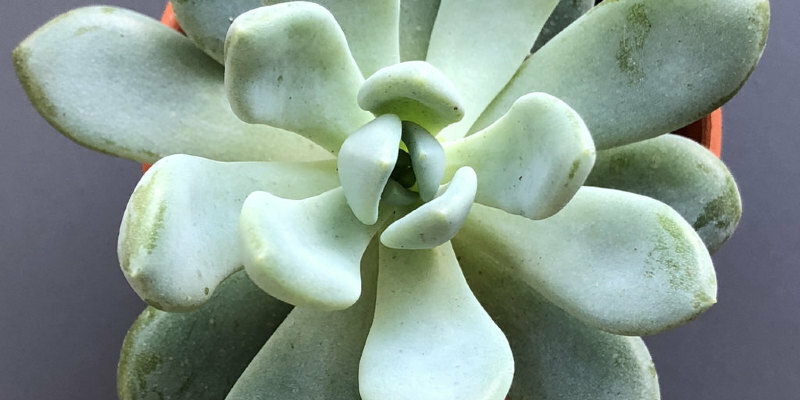 Hardy to zone 2 or 3, this succulent plant is pretty much indestructible. Some of these lower grasses will also be welcome additions to the dry garden. With their fine foliage and tufted growth habit, they sway in the conclusion, contrast with thicker succulents and don’t mind becoming parched. Blue fescue (Festuca spp) and this Ponytail bud (Stipa tenuissima) are a few of the best choices. It would not require much more than a drift of these grasses, together with some choice cacti, to transfer you to a much removed patch of desert. And if your backyard proves so convincing, may we even anticipate vicuñas and flamingos to cover a visit? Let’s hope so.